Berberis thunbergii ‘Golden Rocket’ is part of the "Rocket" series of Berberis distinguished by their tight, upright, columnar habit. Fresh chartreuse foliage provides a stunning contrast to the coral colored stems. The color continues throughout the summer season. To date, no flowers have been observed. Plants have passed the USDA Cereal Rust Disease Trials in MN. This variety has been added to the Federal Register as an approved cultivar. 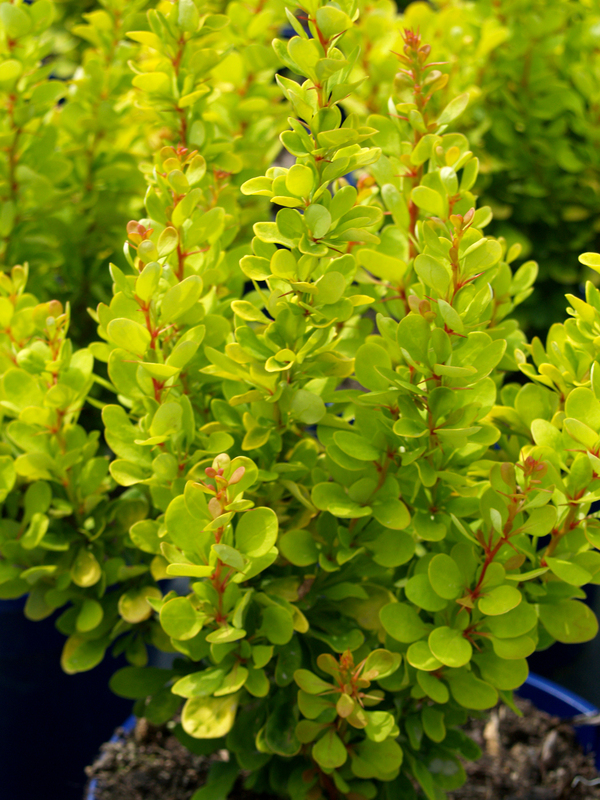 It works well in the landscape in a mass planting, as a specimen plant, or in a container.